Packing for camp? How exciting! 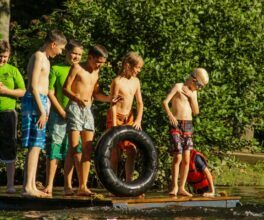 We hope after reading our summer camp packing tips that you’ll feel prepared and ready for a fun-filled summer at Camp Friendship. Your best summer ever awaits! Trunk, bag, suitcase, or duffel? It doesn’t matter which! Campers are free to bring a large duffel bag, a decorated trunk, a suitcase with or without wheels, a large plastic tub, or even a set of plastic drawers. There’s no need to buy anything specific, whatever you have at home will work just fine! 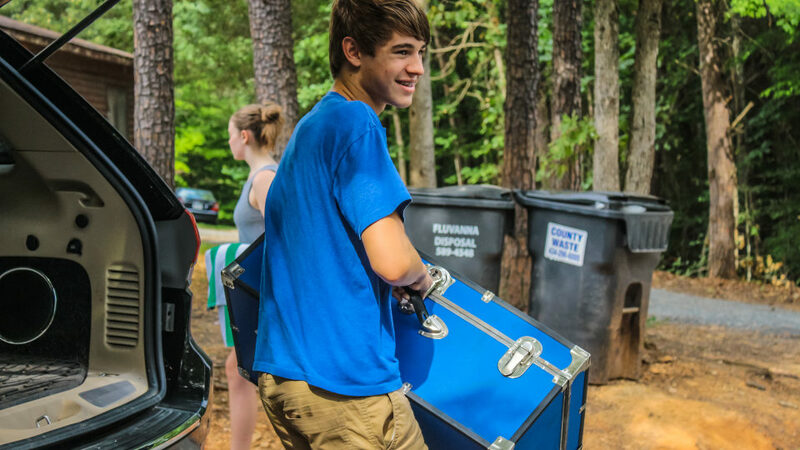 It’s good to know that all our cabins and bunks are different, so there’s no guarantee that your trunk or suitcase will fit under the bed, but our awesome counselors will help you to store your luggage so that it’s out of the way of cabin fun! Pack comfortable clothes that are OK to get messy. Kids go through more clothes at camp than you’d expect– while they’re actively enjoying the outdoors, they’re actively getting dirty too! Please ensure your camper has enough clothes to change a couple of times each day to stay comfortable, healthy and dry. While our Camp Store does have some great CF swag, you’ll want to ensure your camper has enough of their own clothes to last at least a week and a half. For our campers staying multiple weeks, we’ll do your laundry for you towards the end of each week. Although it is summer camp, it can be cool at night, so it’s always a good idea to pack a few sets of warm clothes. Afternoon showers are fairly common in Virginia, so a light rain jacket is a must! 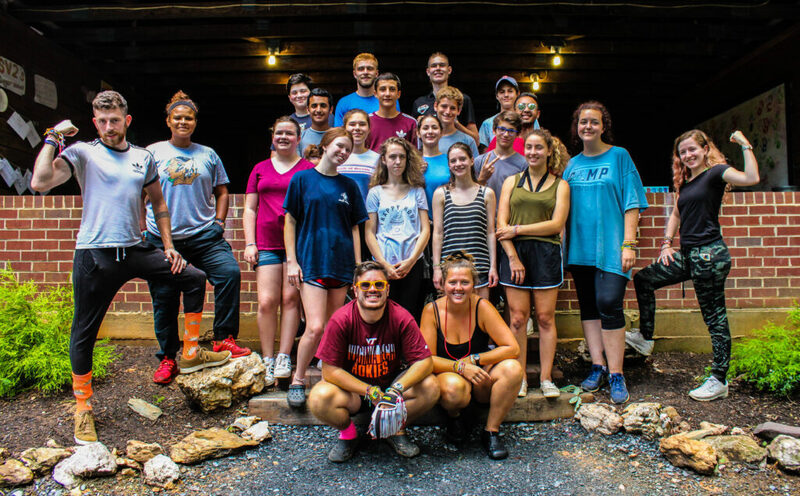 Although camp can be messy, it’s important to stay clean and healthy! Campers shower every evening as well as before and after swimming in the pool. It’s a good idea to pack a washcloth, shampoo and conditioner, body wash, deodorant, toothpaste, a toothbrush (or two!) and any other personal hygiene items they might need. If your camper forgets or runs out of any of these items, we always have extra and would be happy to help! Some campers like to bring all these items in a plastic basket or shower caddy for easy carrying. To pack liquids, plastic or Ziploc bags are a great way to avoid spills and leaks! There are a few essential items to bring to camp. Firstly, a water bottle is a MUST! Campers spend more time outside than they are used to and can easily become dehydrated during the busy camp day. 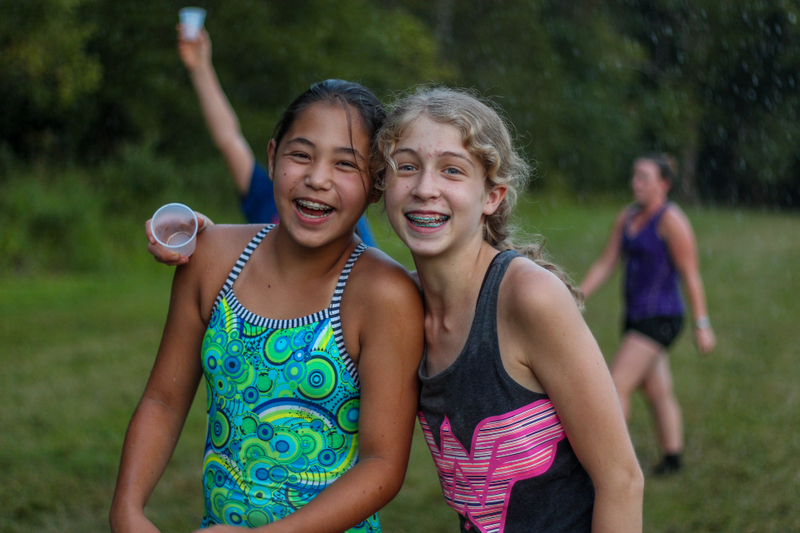 Although counselors encourage campers to drink water during meals and activities, campers should carry a water bottle with them at all times to fill up from the various hydration stations around camp. Staying hydrated is cool at camp, we even have special CF water bottles and water bottle stickers to prove it! What’s the thing we hear our counselors say more often than anything else? “Don’t forget your sunscreen and bug spray!” Campers enjoy many activities around our many forests and fields, and bug spray is especially important in the mornings and evenings. We have a closed toed shoes rule at camp to ensure everyone’s toes stay safe from rocks, twigs, tree roots and splinters! If campers want to wear flip flops, those are best saved for the lake, pool and shower time. Lastly, it’s always a good idea for campers to bring a small backpack to camp to carry their belongings between activities. Backpacks are handy to keep your towel, bathing suit, water bottle, sunscreen, bug spray, an extra pair of socks and that perfectly shaped pet rock you just found! Camp beds are all single bunk beds and we encourage parents to pack twin size sheets regardless of whether campers bring a sleeping bag or blanket. It’s not a bad idea to pack an extra sheet or two–campers are asked to make their beds as part of their daily cabin chores and there’s nothing like jumping into a freshly made bed with clean sheets at the end of a day full of fun! Campers should come with at least one bath towel and one beach towel, but extras are always recommended for campers who will be swimming multiple times during the day. Campers who fly into camp from other states and countries can receive camp linens on arrival, if requested in advance. Camp linen sets include a pillow, blanket, sheets, and towels and are refreshed at the end of each week. If you’re in 1-Hour Riding or Half Day Riding, there’s no need to buy special riding pants–any long pants that cover your whole leg are fine! It’s important to be comfortable when riding, so bringing some extra pairs of socks and long pants are always a good idea. If you don’t have riding boots, hard-soled shoes with a heel are just as good. If you have your own helmet, as long as it’s ASTM-approved you’re welcome to bring it to camp! There’s no need to bring your own tack and grooming supplies though–we have plenty here at camp! If something is valuable, treasured, fragile or potentially dangerous it’s probably best not to bring it to camp! Campers should also leave all electronics at home. 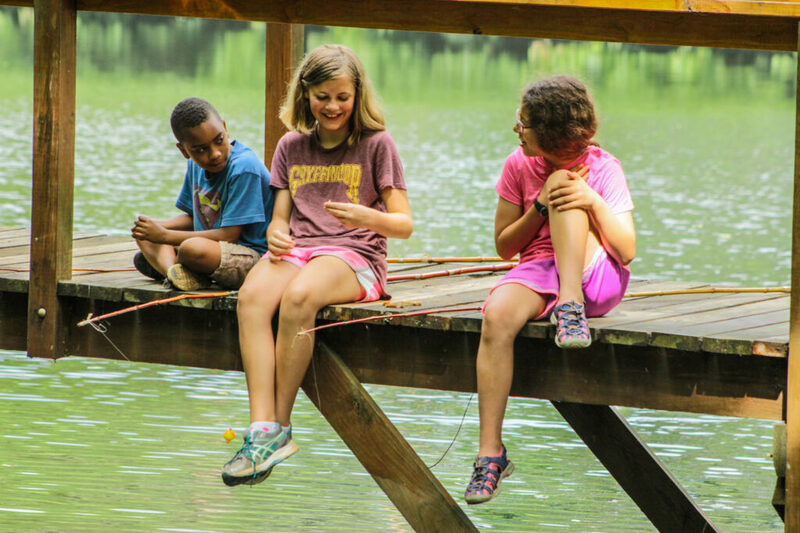 Camp Friendship is a unique experience where children can truly connect without the use of digital devices. Please give your child the chance to make these connections by leaving phones and all other electronics at home. For our friends who travel to camp from other states and countries, we will gladly keep electronic items safe and return them upon departure. Please don’t let your camper’s stuff join the Lost and Found mountain! We encourage parents to label every item, article of clothing, and piece of equipment with your camper’s name. Companies such as Mabel’s Labels and Oliver’s Labels have easy-to-use waterproof labels that help to avoid mix ups and lost items. You can even purchase these labels directly through your CampInTouch account by selecting “Camper Clothing Labels”. must be brought to camp in the original packaging or in a blister pack pre-packaged by a pharmacy. Medication will be handed to the Nurse on check-in day and kept in our Health Center for safekeeping. Help you to help…you! If you want to hear from your camper while they’re at camp, it’s a good idea to send them with letter writing materials such as e-letter paper, pens (not pencils! ), pre-addressed envelopes, stamps, postcards or smoke signals (just kidding!) Campers have cabin time each day where they can choose to write home, but please remember that even the best of intentions can be forgotten when there are exciting new games to play with friends, the chance to finish that friendship bracelet they’ve been working on, time to take a nap, play with their pet rock or chat to their counselor with an interesting accent. Please don’t be disappointed if you don’t receive a letter from your camper within the first day or two. We’ll do our best to encourage them to write home, and sending them with the materials to make it quicker and easier certainly does help! If this if your camper’s first time at sleep away camp, certain reminders of the comforts of home can be nice to bring along. A favorite book, comfortable blanket or even a family photo can help to make their cabin feel a little more homely. Games for cabin time are always a great idea too! If your child has a favorite stuffed animal or something very dear to them, we suggest leaving that at home and finding a ‘camp favorite’ to bring to camp. We would hate for your child’s favorite item to go missing! Include an UN-checked copy of the packing list in your camper’s things so they can use it to re-pack and come home. 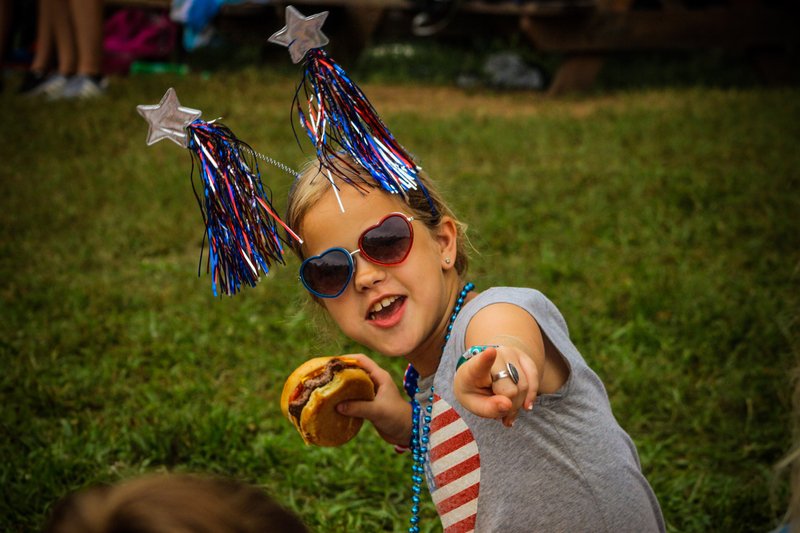 This helps them to ensure they have everything and reduces Lost and Found at Camp–yay!